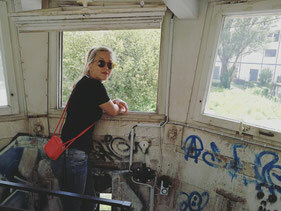 In Berlin the GDR can be experienced in many places. Since GDR history has its very own charm, I have written a travel guide on the traces of the GDR in cooperation with the DDR Museum Berlin. simply enjoy a currywurst at Konnopke. 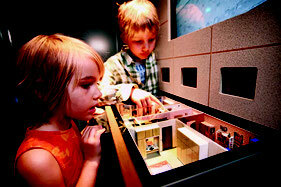 Discover daily life behind or in front of the Berlin Wall! Let's explore all aspects of daily life behind the Berlin Wall together! But for now, here is a sneak peek of my GDR highlights in the map. Do you ever wish you could just live in the past? In the DDR Museum you can visit an authentic GDR apartment and get a feeling of everyday life in the former Soviet satellite state. It displays i.e. an exact copy of the couch I grew up on. 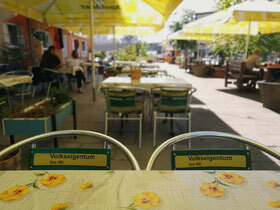 Here you can experience the everyday life in the former East Germany. I especially like that covering a range of topics the Berlin Wall, the Stasi and much more the museum encourages its visitors to touch, feel and interact. 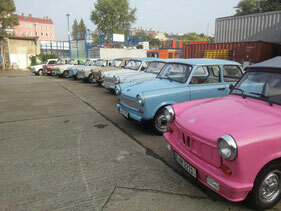 You can rent a Trabant and drive it yourself to get the real feeling of the East. Get into the driving seat of the iconic Trabant for a real feeling of the East. The Volksbühne was originally designed 1914 by Oskar Kaufmann. Erwin Piscator, artistic director in the 1920s, was renowned for his controversial productions. His approach to theater was also an important influence on Bertolt Brecht. In East Germany, the Volksbühne developed into a modern director’s theater, staging plays by prestigious writers such as Heiner Müller, and noted for its provocative productions by Benno Besson and Fritz Marquardt. During the Second World War the area around Strausberger Platz was almost completely destroyed. The GDR leadership therefore began building new socialist houses in the style of Socialist Classicism. One of the architects was Hermann Henselmann. The construction site at Strausberger Platz was a starting point of the strikes against the increased labour standards in the GDR, known as the uprising in East Berlin on the 17th of June 1953. 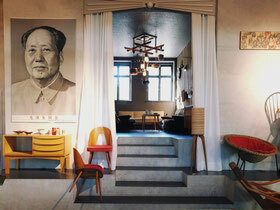 Today you can also experience the former GDR on-site by visiting a fully furnished the gallery Central Berlin. Original interior design classics and charming mid-century items transport you back 60 years into the past. 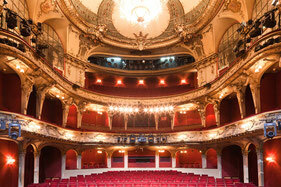 The Berliner Ensemble is a German theater established by playwright Bertolt Brecht and his wife in 1949 in East Berlin. But Brecht's theater deliberately had no heroes, and he, as a director and playwright, did not want to create any socialist heroes - an attitude with which he repeatedly provoked. 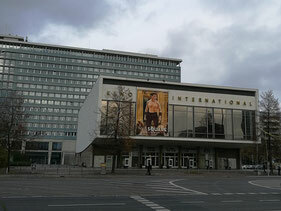 Until 1989, Kino International was the main theater for premieres in the GDR. Today, the cinema is still showing movies. The authentic interior like the old chandeliers in the impressive foyer or the silvered curtains infront of the screens sends you back in time. The large film posters on the outside of the theater are still painted by hand. History comes to life again in the Ostel. The special charm of a prefabricated building and original GDR design await the guests in this creatively designed hostel. Since the beginning of the 1950s, the GDR state radio broadcasted from here. 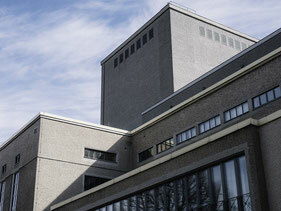 For this purpose, an ultra-modern complex for radio production was built. 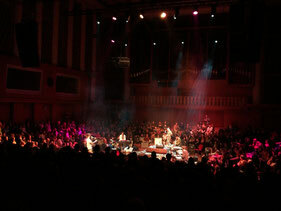 Today there is no radio production, but a much desired concert. The last relics of over 400 watchtowers from the GDR era can be found close by Potsdamer Platz. Take up the viewpoint of a GDR soldier just as the border soldiers used to. 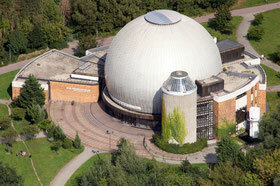 The Zeiss Planetarium was dedicated by Erich Honecker himself in 1987. It was one of the largest and most modern planetariums in the world at the time, designed by the architect Erhardt Gißke, who previously built the Palace of the Republic. 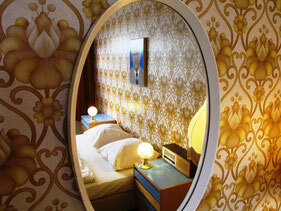 Today the renovated cinema plays 3-D movies, old science fiction and East German films on selected evenings. Even almost 30 years after the fall of the Berlin Wall, cooking continues here as in the GDR. Besides the authentic interior, culinary highlights of the GDR can also be found here: Würzfleisch with original Dresden Worcester sauce, Jägerschnitzel with Spirelli, pork steak Letscho and of course Goldbroiler (chicken). The Volkskammer was the parliament, i.e. the representative body of the people, of the GDR and thus formally the supreme body of the state. However, the real power was in the hands of the SED (party). Their claim to leadership was even enshrined in the constitution in 1968. "11 Orte in Berlin, die sich immer noch nach DDR anfühlen"